Hi guys! Today I will be doing my very first Graphic Novel review! I don't read Graphic novels that often to be honest but I am really glad I picked this one up! 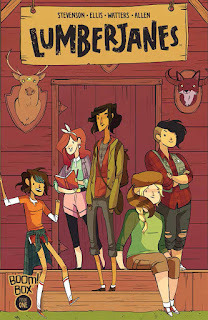 The story is basically about the girl scouts The Lumberjanes, their adventures in the woods and discovering life lessons about love and friendship. Okay, so that summary was really cheesy, but that's really all I can say about it! 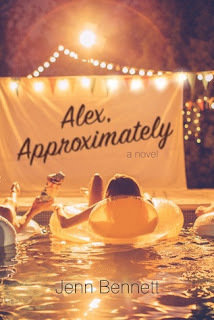 The plot is seriously super simple but the artwork is amazing and the humor in this novel just made me laugh out loud! I loved Noelle Stevenson's (One of the authors of the Lumberjanes) graphic novel NIMONA so I was really excited and pumped to get in to this one and I was not disappointed! The life lessons in this book was great and this graphic novel is certainly not just for children! 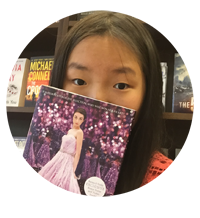 I think people of all ages will love this story and fall in love with the characters! And the artwork is again, BEAUTIFUL! So, I rate this book a good 5/5 stars! I will definitely be picking up the next books in the series! What is your favorite graphic novel?